It was that kind of tease that I thought I had found a great film that I had initially overlooked with Personal Shopper. It’s certainly a breakthrough for me that Kristen Stewart is a great actress to me after I once named her the Worst Actress of the Year. As I was getting through halfway I also thought the film was going to be my breakthrough for me with Olivier Assayas, since he’s never made a film I’ve loved. Assayas has been praised to the heavens by the art house film critic crowd for the nearly two dozen “edgy and cerebral” film output he’s done although “Summer Hours” (2009) is the only one I’ve had even moderate admiration for. To me, he’s either too egghead without being cinematic, or way too depraved and sickly over-cinematic, or sometimes both within the same film. This time as a filmmaker, he’s finally found a perfect tempered tone that captures everyday life and yet entices us to cogently sense the dark karma permeating our world. The mood of the film, while alternately insinuating at times malevolence to coincide with revelation, enveloped me. 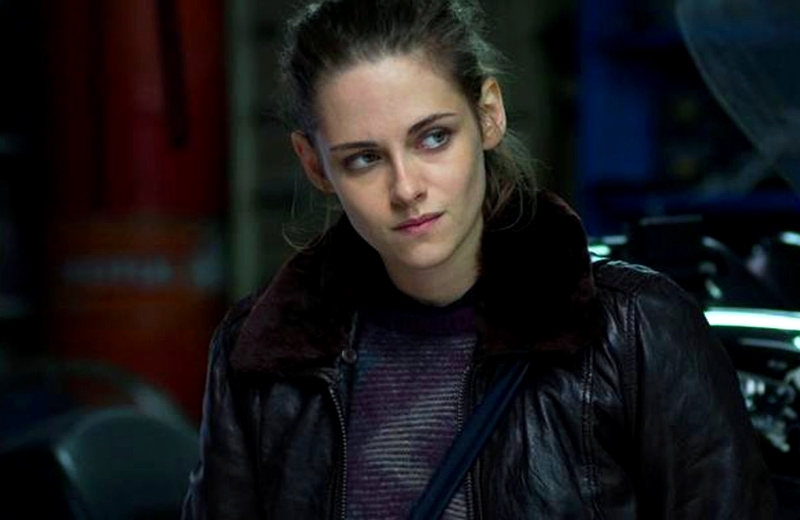 Stewart is Maureen, a personal shopper for a ritzy, conceited celebrity figure. Maureen also moonlights as a medium. Maureen lost her brother three months earlier and believes she is going to be contacted by him from beyond the dead. It’s such a deliberately paced movie, with a stark naturalism going for it, that when spirits did show up on rare occasions, I felt tingles go through my body. The film has many spellbinding sections, it kept me going to the very end, and ultimately didn’t pan out for me. I don’t think it’s going to pan out for a lot of other viewers to their satisfaction, either. I think narrative closure does come together in the final moments, but despite my high anticipation I met the finale with a shrug. A shrug is letdown. I was bracing for something far more shivering and shocking. But I don’t think what happens is a cheat. As for the mysterious text messages that our heroine is never able to figure out who’s sending them – it has that nagging ambiguous quality of Michael Haneke’s “Cache,” another film I’m torn over with its oblique clues – it’s terribly suspenseful for us to want to find out who is doing it. Post-haste, I have to bring my own logic to the table. Logically I think I have it figured out. Your logic might be different from my own. In my opinion, I don’t think the spectral visit that happens is the friendly spirit that Maureen hoped it would be. The ending is deliberately polarizing. But I also think we’ve seen this type of ending before, which is part of the letdown. The film leading up had been so disquieting and formidable, we’re preparing for something colossal and I suppose it’s disappointing to get something modicum. Still, this shouldn’t stop anybody from seeing this who enjoys challenging, mindbending fare. I think getting a big tease, encountering something disconcerting, is cool to experience once in awhile instead of thinking a film is only worth something if it hits you with a big whammy. I can’t take for granted that the film for a long time held me and consumed me. I can’t endorse it as a love, but I can’t take for granted either that it’s the most an Assayas film has connected with me. And Stewart, so terrific, perfectly evokes that desire to embrace those things in life that are forbidden with a shudder. Her forbidden desires become ours. 105 Minutes. Rated R. French Film in English. Film Cousins: “After Life” (1999, Japan); “Cache” (2005, France); “Paranormal Activity” (2009); “A Ghost Story” (2017).